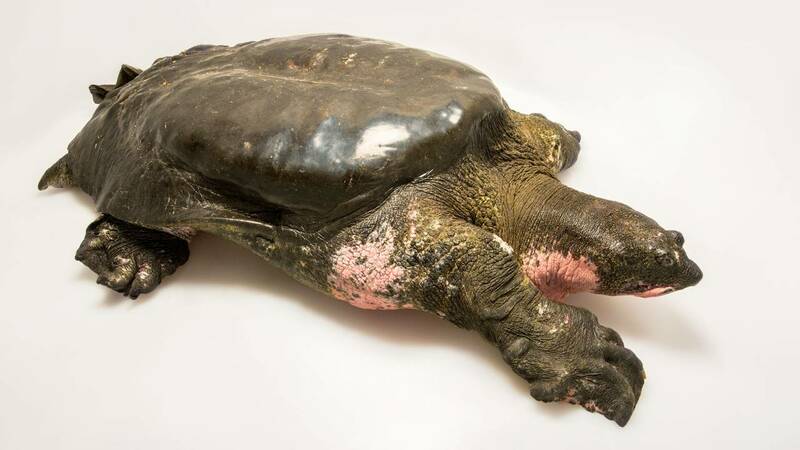 The female turtle died the following the day after an artificial insemination procedure. A male Yangtze giant turtle in captivity. Image: National Geographic.